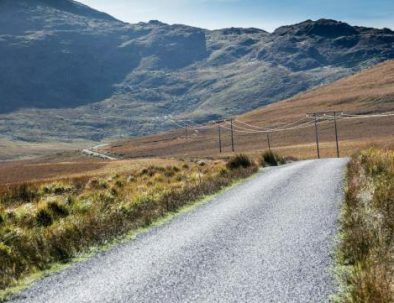 Custom Tour - Motorcycle tours in Ireland - You choose everything! Where you want to go, and how long you want to go for! Our range of tours is comprehensive, but we know sometimes, you need something specially designed for you! Whether it is to tour Ireland tracing your ancestry or tying in with a music festival, we can design your custom tour. 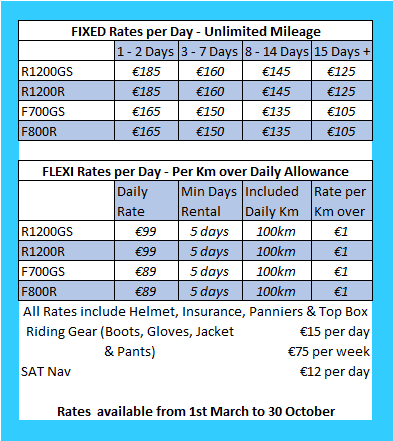 It is important that you give us plenty of advance notice to prepare your custom tour – as we will need to research accommodation and refine our riding routes. Yes it does cost more – but you’re worth it! Decide when you begin and end. Riding every day or taking some rest days in between. Follow your ancestry or see where Game of Thrones and Star Wars was filmed! Choose your favourite motorbikes and feel comfortable on your tour. "Paul and the team organized an amazing trip for us. The bike was excellent, the routes were even better. 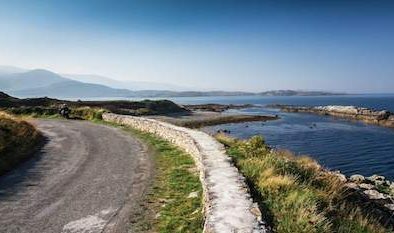 They created custom routes for us so we got to see the best of the Wild Atlantic Way. The scenery is stunning, so many incredible views. All the details were considered, great places to eat, drink and stay. We had a wonderful time, and would highly recommend this experience." Please enter a number from 3 to 30. Would you want to base this tour on any of our existing tours? Please include the total number of riders and pillions. How many motorbikes would you like to rent? Which Bikes would you prefer? Would you like to have a guide or self guided? Self Guided - includes pre-programmed routes in Sat Nav and Smart Phone App with Daily details of itinerary and Points of Interest. 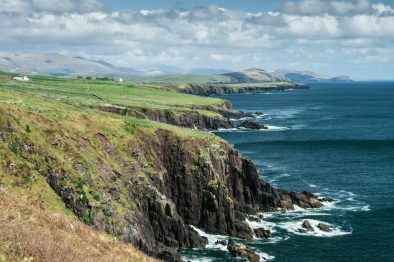 Is there any other location you would like to visit in Ireland? Would you like to visit the sites where Game of Thrones and Star Wars were filmed? Would you like to visit historic sites? Are you looking for a food experience? Let us know! Do you want to ride every day? How long do you want to ride each day?